Airsnore Mouthpiece Review: Does it Really Stop Snoring? If you snore at night, you’ve probably noticed how snoring is a nuisance to the people around you. Snoring also increases the risk of contracting a variety of serious health conditions. A prospective study revealed that snoring is a risk factor for type 2 diabetes mellitus. If you’re a habitual snorer, it is imperative that you find a reliable treatment option sooner. With the availability of AirSnore anti snoring mouthpiece, you need to look no further. What is AirSnore Snoring Aid? How Does the AirSnore Snoring Aid Work? How is the AirSnore Snoring Aid Used? Who’s Best Suited By The Airsnore Snoring Aid? Whom is the AirSnore Snoring Aid not for? How Long Does The Airsnore Snoring Aid Last? Does The Airsnore Snoring Aid Have Any Side Effects? What Are The Alternatives Of The Airsnore Snoring Aid? What Are The Pros of AirSnore Snoring Aid? What Are The Cons of AirSnore Snoring Aid? What is the Price of the AirSnore Snoring Aid? Can You Return The Airsnore Snoring Aid If Not Satisfied? The AirSnore Snoring Aid is essentially a mandibular advancement device that is designed to serve as an anti-snoring aid. The product is manufactured by a subsidiary company of a well-established and renowned firm known as Bauer Nutrition. This snoring aid features a mouthpiece made from a thermoplastic that allows it to adjust through a boil-and-bite process easily. One unique characteristic of the mouthpiece is that you can remold it to fit into your mouth as many times as you want. The device also features a bottle of spray that contains a blend of 100% natural oils. The key ingredients of these oils are sunflower seed oil, eucalyptus leaf oil, lavender flower oil, peppermint leaf oil, and Scots pine leaf oil. While sleeping, the airways in your nose and throat tend to relax. At times, the relaxation can constrict the airways, causing air to travel more rapidly through them. As you breathe in and out, the rapid flow of air makes the soft tissues in the back of your mouth, nose, and throat to vibrate. This is what causes the snoring sound. The first component of the AirSnore Snoring Aid is the mouthpiece, which has a breathing hole at the front that allows you to breathe through your mouth easily. The mouthpiece is also designed to fit over the anterior teeth like a gum shield. It holds the mandible and tongue forward and re-positions the lower jaw slightly forward. By doing so, it prevents blockage of the pathway and creates sufficient space for air flow. AirSnore’s second component, the bottle of spray with natural oils, proves to be quite helpful in situations when snoring is as a result of nasal congestion. The drug-free oil contain 100 percent natural ingredients that offer relief for conditions such as sinus, cough, cold, flu, allergies and chest infection. Rubbing these oils on your chest and under the nostrils before going to bed will help clear the airways and ease your breathing. One of the interesting features of the AirSnore mouthpiece is that it molds itself to the inside of your mouth. This enables it to provide a comfortable and personalized fit. Like most boil-and-bite devices, many users feel comfortable wearing the mouthpiece within a few weeks. People whose snoring occurs at the level of their tongue base. Persons with mild, moderate and severe sleep apneas. People with apneas that occur predominantly in the supine position. People who are intolerant of nasal CPAP treatment. People who can’t have surgery as an option. Grade one snoring is characterized by infrequent, quiet snoring. At this level, there’s no breathing obstruction, and the snoring doesn’t cause medical problems. If you are an occasional snorer and probably feel fatigued during the day, the AirSnore Snoring Aid will be quite helpful. This level is characterized by frequent, loud snoring. There is possible breathing obstruction at this level, which could result in mild to moderate sleep apnoea. Additionally, grade two snoring may trigger serious long-term health problems. This level is more serious than grade two in the sense that it is more frequent and louder. Grade three snoring also has the potential to trigger serious long-term health problems. If you frequently snore loudly and experience fatigue, irritability, and sleeplessness during the day, AirSnore will help you sleep better at night and allow you to be more productive during the day. AirSnore snoring aid is comfortable and not painful for many users to wear. It can also be used by denture/implants/bridges wearers successfully, though it is advisable for them to consult with their dentists before using the mouthpiece. 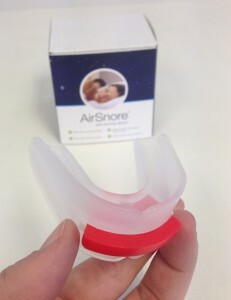 The AirSnore Snoring Aid may be a good fit even if you miss a tooth or two. However, if you have several or all your teeth missing, this device is not for you. There is no good way of determining the average lifespan of the AirSnore mouthpiece. This is because the longevity mainly depends on the user, i.e., the number of times you use it, whether you grind your teeth or not, and how well you take care of it. Nevertheless, most devices of this type and price usually last between 4 months and one year. To ensure that the device lasts as long as possible, you need to take proper care of it. Cleaning the AirSnore anti-snoring device is an integral part of taking care of your device, and the manufacturer has given specific instructions on how to do it. You need to use clean water, a regular toothbrush and non-whitening toothpaste to clean your mouthpiece. Also, soak it in a denture cleaner once every week. Store the mouthpiece in a dry place and out of reach from your pet. Like all other anti-snoring products and treatments, AirSnore has some potential side effects. They include jaw soreness, excessive drooling, dry mouth, teeth tenderness, gums irritation, and minor changes to the way your teeth bite down. The side effects are often at their worst in the first few days and quickly decrease in intensity afterward. Besides mandibular advancement devices like AirSnore, you can use other various anti-snoring aids. They include anti-snoring pillows, anti-snoring chin straps, anti-snoring rings, nasal dilators, nasal strips, and anti-snoring machines such as CPAP, BiPAP/BPAP/APAP. All these alternatives have got their advantages and disadvantages, it is thus important that you check out their reviews before making a purchase. The facility that manufactures the product is FDA-approved, but the product isn’t. The product has not been clinically tested just yet. The product does not have a warranty. There’s no information on whether the product contains latex or BPA. 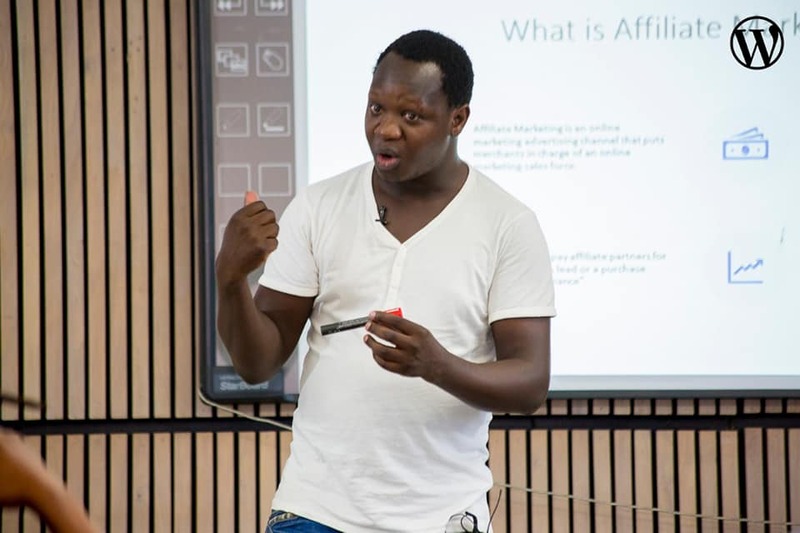 The product is not available for sale on other outlets except for the manufacturer’s website. The device comes with a price that won’t break your bank. The mouthpiece is priced at $49.95, while the spray is priced at $59.95. You can purchase the mouthpiece and the spray together for a discounted price of $89.95, which enables you to save almost $20. The AirSnore is only available for sale through the manufacturer’s website. Even though it is highly unlikely for you to be unsatisfied with the product, the manufacturer still offers a 60-day money back guarantee. This means that you can return the product if you are not satisfied with it within 60 days, no questions asked. There are also no shipping costs for sending the product to Canada, United Sates, or United Kingdom. Even though there have not been any clinical tests run on the product to judge its efficacy, boil-and-bite MADs are generally a proven and effective remedy for snoring. With its simple adjustable design, a reasonable price, and 60-day money back guarantee, the AirSnore anti-snoring device is certainly an ideal option for anyone who is looking for an efficient remedy to snoring.